Russia is home to rich culture, world-famous architecture, and an expanding economy driven by oil and natural gas. It’s also home to roughly 30,000 US citizens, many of whom are concentrated around Russia’s major cities such as Moscow, St. Petersburg, Novosibirsk, Yekaterinburg, and Omsk. Whether they’re drawn by the language, employment opportunities, or simply the thrill of discovering a new way of life, there’s no question that Russia has become a popular destination for Americans from all walks of life. Moving to a new country is an exciting time, but it’s also important to make sure that you understand your tax liabilities as a taxpayer living abroad. International tax matters require meticulous planning, organization, and attention to detail, while failures to comply with US tax laws can result in steep fines or even criminal prosecution and incarceration. 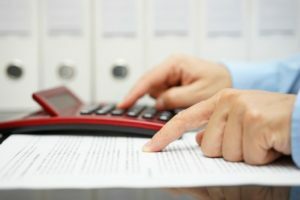 If you’re moving to Russia from the United States, the time to address your tax concerns with an experienced CPA is now. Ted Kleinman CPA has over 30 years of experience working with US taxpayers in Russia, and proudly provides free initial consultations. Whether you need help filing a tax return, have questions about taking advantage of credits and deductions, are worried about being audited by the IRS, or want to make a voluntary disclosure of assets and income, Ted Kleinman is here to assist with all of your tax needs. To set up a free, completely confidential consultation with Ted, call US Tax Help at (541) 923-0903 today. Do US Citizens Living Abroad in Russia Have to File an Income Tax Return? Leaving US soil doesn’t mean you also leave US tax obligations. Unlike most nations, the United States requires citizens abroad to file an annual tax return – and failure to do so can result in the imposition of considerable financial penalties. Fortunately, it is generally possible to extend the standard April 15 filing deadline by at least 60 days. If you are a US citizen, resident alien, or member of the US military, and you were outside of the US on April 15, you are eligible for a two-month deadline extension, bringing the new filing deadline to June 15. Taxpayers should be advised that interest must be paid on tax which is unpaid as of April 15. If you are unable to file your tax return by the initial extended deadline of June 15, you may extend the deadline a second time, bringing the new deadline to October 15. Taxpayers may request this extension by completing and submitting Form 4868 (Application for Automatic Extension of Time to File US Individual Income Tax Return). Again, interest will be owed on tax which is unpaid by the original due date of April 15. The civil penalties for failure to pay and failure to file can be severe, particularly the latter. The penalty for late payments, or failure-to-pay penalty, is 0.5% of the unpaid taxes for each full or partial month following the payment due date. The penalty for failing to file a tax return, or failure-to-file penalty, is 5% of the unpaid taxes for each full or partial month the return is delinquent up to 25%. If the failure was intentional, or willful, the taxpayer may be charged with criminal tax evasion. If you have unpaid taxes or previously failed to file a tax return, do not make the mistake of assuming the problem will go away on its own. It’s very important to be proactive and talk to a CPA about your financial options before the problem escalates any further. The longer you wait to address the tax delinquency, the more difficult it will become to resolve the matter. What is the IRS FBAR Requirement? What Are the Penalties for Failure to File? You are a US person who has signature authority over or financial interest in a bank account or other financial account located in Russia, or any other foreign nation. The term “US persons” covers US residents, US citizens, and non-foreign persons. If the above statements describe you and you fail to file an FBAR, you face a penalty of up to $10,000 per FBAR violation. 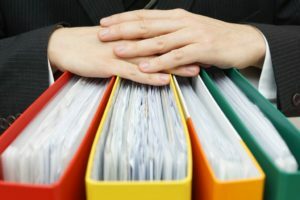 If your failure to file an FBAR is deemed willful, the penalty climbs to $100,000 per violation, or 50% of the balance of the undisclosed account – whichever figure is larger. You could also be recommended for prosecution, which could result in hundreds of thousands of dollars in criminal fines, years of incarceration, and the creation of a criminal record. If you or one of your family members is an American expatriate living in Russia, or if you’re planning on working and living in Russia in the future, it is absolutely vital to ensure that you understand and fulfill your tax liabilities in order to avoid these devastating penalties. Call US Tax Help at (541) 923-0903 to arrange a free and confidential consultation with CPA Ted Kleinman today.